The following heated facilities are available on a year-round basis. They are located nearby each other so they can easily be combined to accommodate larger groups or conferences with break-out sessions. 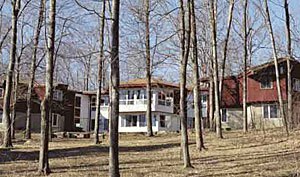 Modern conference center with 12 motel-style bedrooms, each with individual bathroom and air conditioning. There is a double bed and single bed in each room as well as roll-away bed for a third or fourth person. Main meeting/dining room off main kitchen seats 100 for meals, 150 for assemblies, media and sound system equipped, piano and organ available. Upstairs meeting room seats 25, also media equipped, with sink and refrigerator; lounge nook with three sofas and a TV-VCR. Entry lounge seats 15 for registration and small gatherings. The main focal point of Agape is Charlotte’s Room, with it’s unusual shaped walls of glass and unique ceiling lighting. It is a fully-equipped meeting room for 50 to 75 people with a baby grand piano. Full linen and meal service. Undisturbed trees, rock walls and boulders provide a setting for this treetop level youth or adult facility designed like a ski-lodge, with special provisions for persons with disabilities. Commercial kitchen, large meeting/dining room with a TV-VCR, two lounges with fireplaces, and eight dormitory-style rooms on one floor. Additional meeting rooms and six additional bedrooms on ground floor. Year-round athletic area adjacent, including outdoor basketball court, volley ball court and ballfields, as well as outdoor meeting area and campfire circle. The two sections of this building can be rented as a whole or separately. Hayden is one of our newer buildings, fully wheelchair accessible, with a large central meeting room with a TV-VCR and a galley kitchen. Each of the four carpeted bedrooms has 5 beds per room, its own tiled bathroom and separate thermostat control. 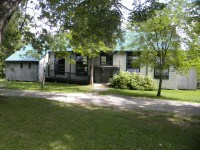 This building is ideal for small groups of adults or youth. Steidl is completely self-contained with a central meeting room and a kitchenette. The bedroom layouts have different features, lending themselves to different types of groups. 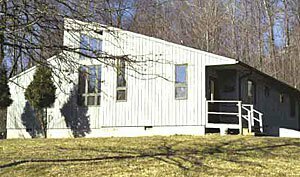 Steidl has four smaller rooms, with 4 beds in each room, and also has a large front deck with overhanging roof. Ball fields, volleyball court and lake are adjacent. Situated on Westminster Lake, this building is suitable as a meeting space for larger groups of 200 or less and is wheelchair accessible. 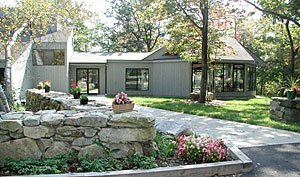 It has a stage, large stone fireplace, deck overlooking the lake and four brand new bathrooms. Call the office to schedule use of this building.